30/11/12 - Deaccessioning - Paris, Musée de l’Armée - During a recent exhibition highlighting Algeria , the honorary keys to Algiers (ill. 1) which Dey Hussein handed over to the French army after the fall of the city on 5 July 1830, thus belonging to the Musée de l’Armée in Paris, were on view and in fact reproduced in the press release. These objects, of true artistic value and moreover, highly symbolic, remained on deposit in the museums in Algiers until the country’s independence at which time they returned with part of the collections to France and were listed in the Musée de l’Armée’s inventory. These are therefore national treasures, and cannot be deaccessioned. However, the Ministry of Foreign Affairs which appears to consider our museums as a stockroom for diplomatic gifts, decided on its own, and indeed with no reaction from Algeria itself, that the President of the French Republic, François Hollande, would offer the keys to Algeria during the official voyage which is to take place next 19 and 20 December . Adding to the complications of the present affair, on 17 November 2002 there was an auction at Osenat’s in Fontainebleau offering an ensemble of souvenirs from the collection of Maréchal de Bourmont who had captured the Casbah in Algiers, a general at that time. 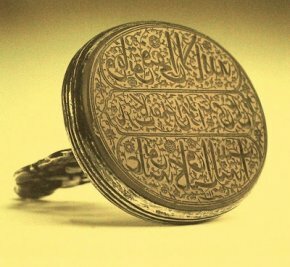 Among other items, there were notably the dey’s seal (ill. 2) as well as two other keys (ill. 3), considered to be the keys of the Casbah. These objects were purchased by the Elysée and the following year, President Jacques Chirac, during an official visit to Algeria presented the seal to Abdelaziz Bouteflika. These objects did not belong to a museum and the present could thus not be contested in any way. As the Elysée has not answered our questions, we have no idea what happened to keys acquired in 2002. 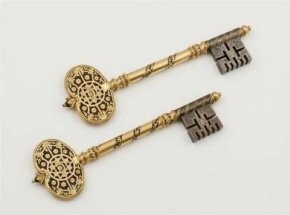 Perhaps it considered that they do not present sufficient artistic quality for a diplomatic gift and the Ministry of Foreign Affairs then resorted to the very beautiful ceremonial keys residing at the Musée de l’Armée. We can of course imagine the fate of these collections if the spoils of war were to be returned - contrary to French law and international conventions - to their country of origin. What would the nave of the Invalides look like without its flags ? Let us remind the Ministry of Foreign Affairs and the President of the Republic that they are not above the law and that objects belonging to a museum cannot be deaccessioned and are imprescriptible. True, there exists a procedure to declassify an object as a listed work. However, it was not initiated and, furthermore, it is subject to review by a scientific commission which would probably not approve such a project. Readers might remember that Nicolas Sarkozy earlier had proceeded in the same illegal manner in the case of the Korean manuscripts, calling it a deposit but which was actually a restitution in disguise. 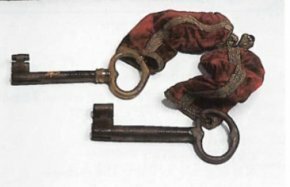 Although the general context is the same, we should point out that in the case of the keys to Algiers, unlike the Korean manuscripts, the country of origin has not claimed them. And that their acquisition was in no way debatable as they were not spoils (though the city was later sacked) but were received at the time of surrender, a historical fact with regrettable consequences but which indeed took place. The works residing in French museums belong to the French people. They cannot be used as diplomatic gifts. Algérie 1830-1962 avec Jacques Ferrandez, Paris, Musée de l’Armée, from 16 May to 29 July 2012. We made inquiries at the Musée de l’Armée, the Ministry of Foreign Affairs and the Elysée Presidential Palace. The first did not wish to answer, the second referred us to the Elysée whom we called but did not respond to our request for an explanation.